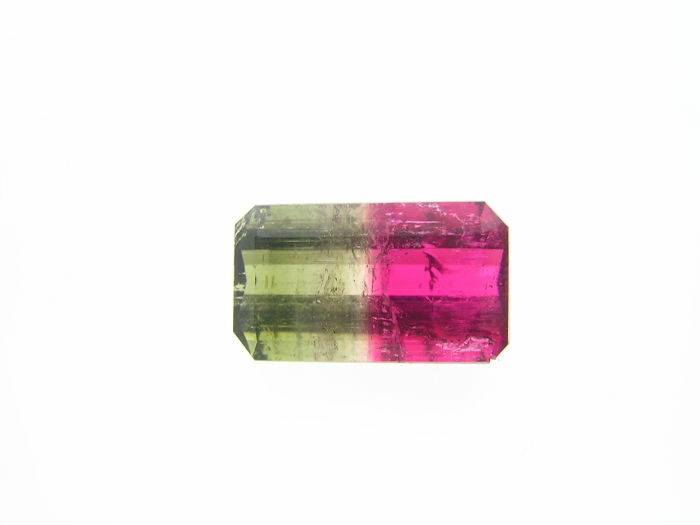 Excellent 'neon' colours, lime green/reddishpink, symmetrically divided. 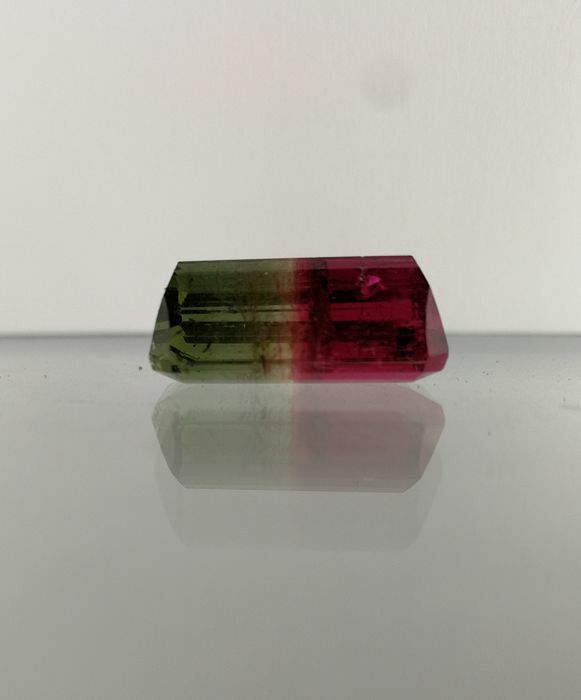 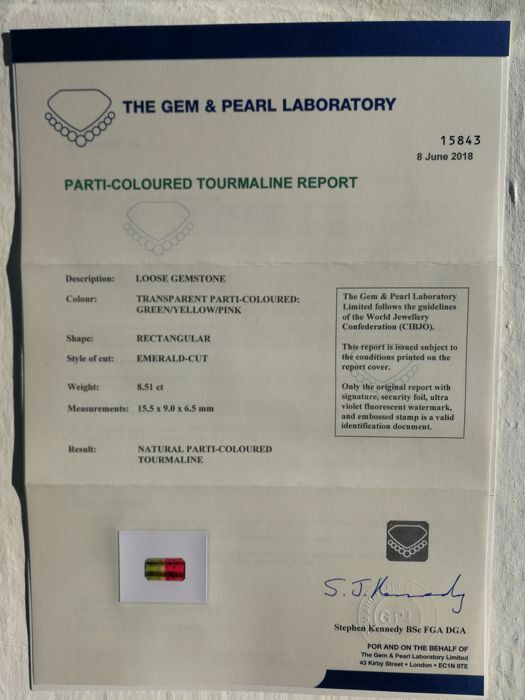 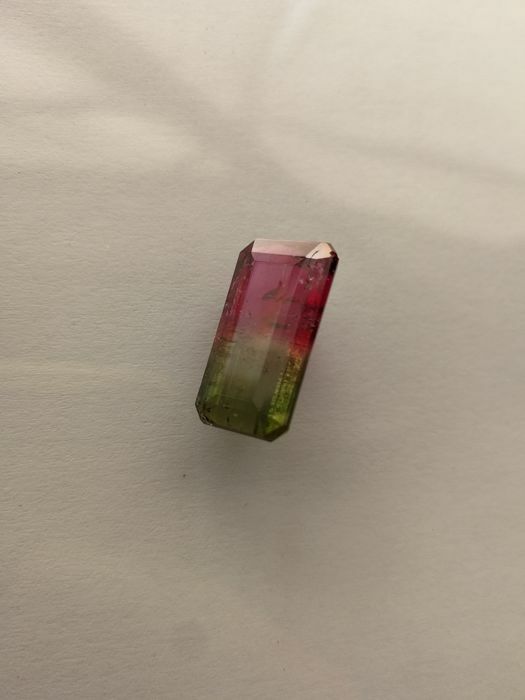 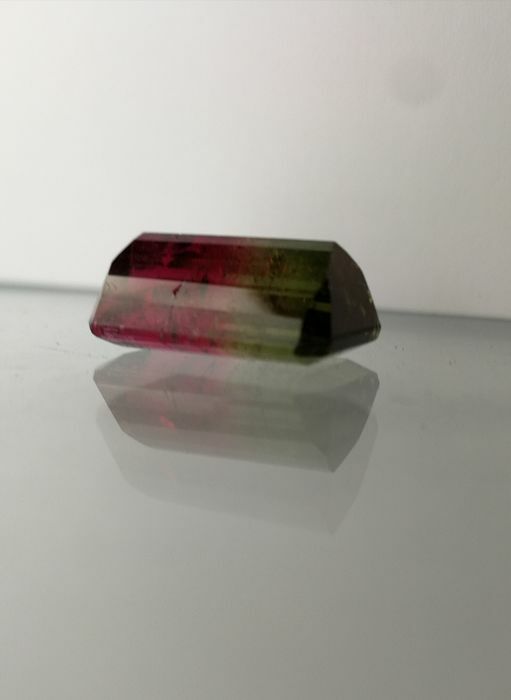 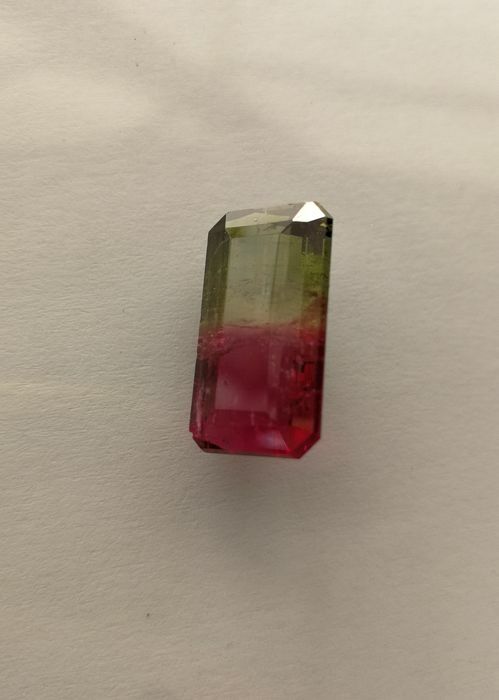 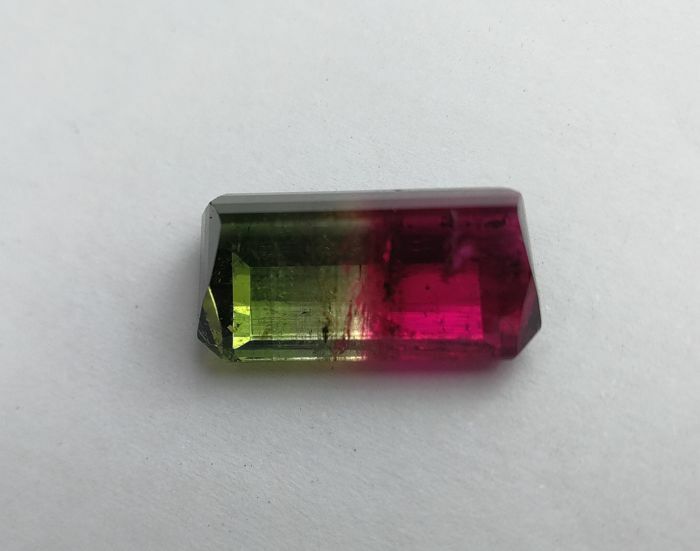 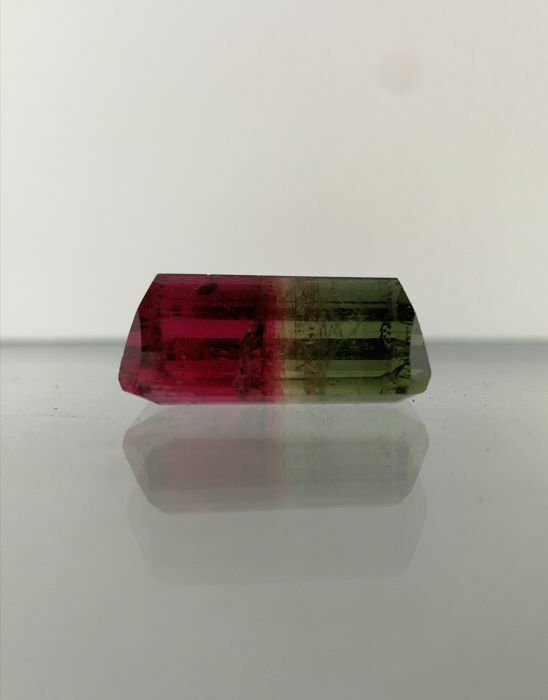 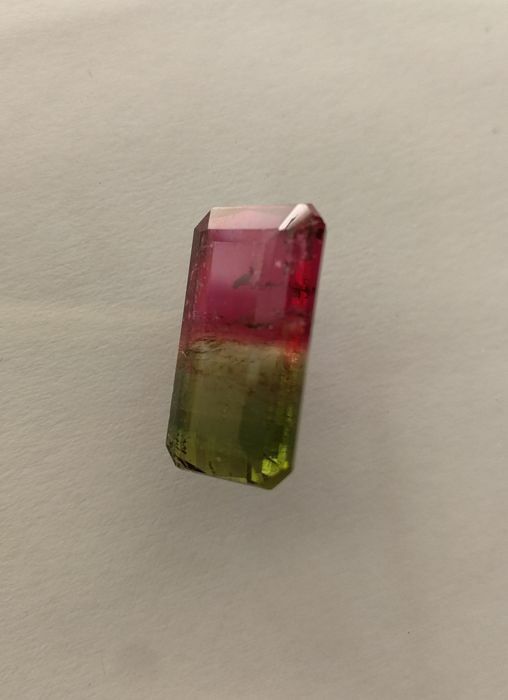 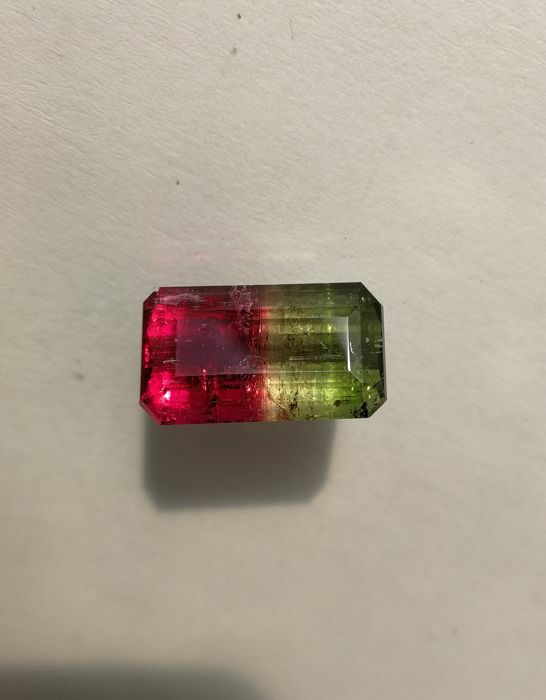 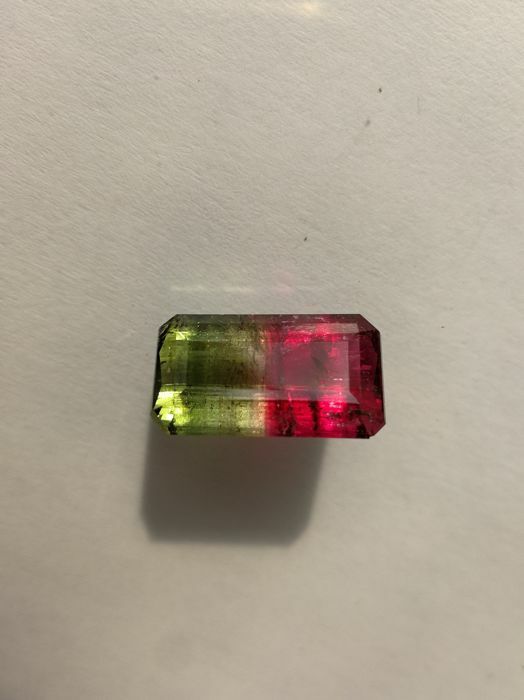 As is usual with Bi-colour tourmaline, the stone is included. 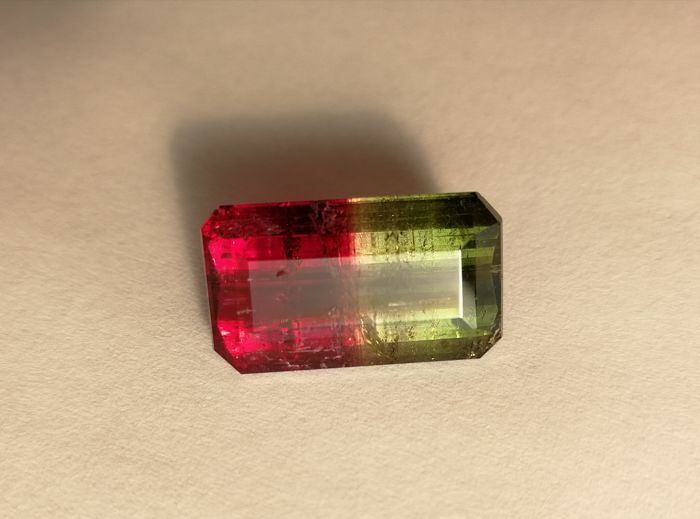 It does have an visible inclusion in the cutlet of the red side and this is evident in the images. 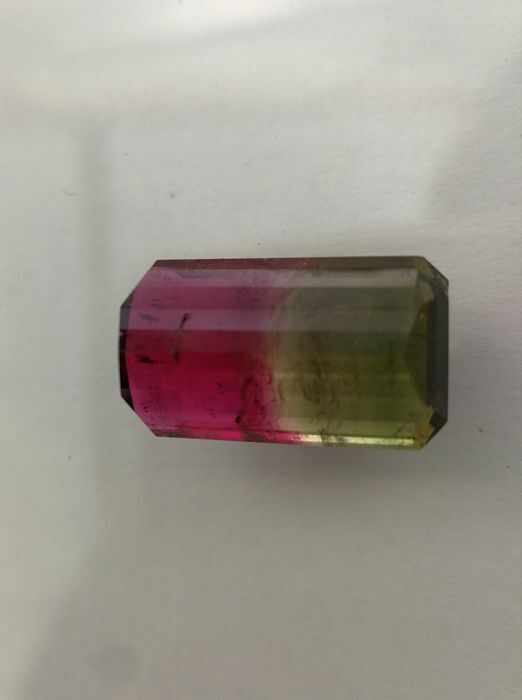 The first photo is by The Gem and Pearl Laboratory, all other photos by Hauwei P10 mobile phone using natural sunlight. 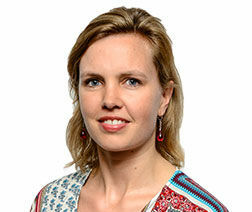 Delivery within the European Union (up to three days) by Registered mail with insurance and tracking. 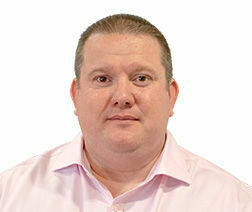 The UK, Germany, Canada, Israel and Australia (up to ten days) by Express delivery with Tracking and Insurance. 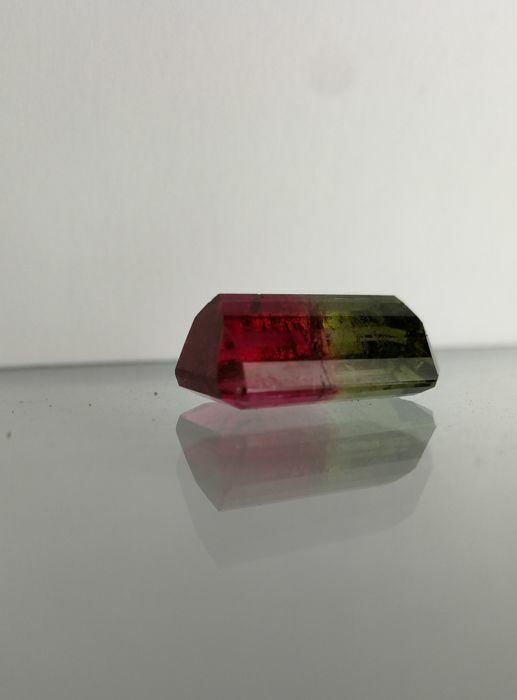 Rest of world (up to five days) by Registered mail with tracking and insurance. 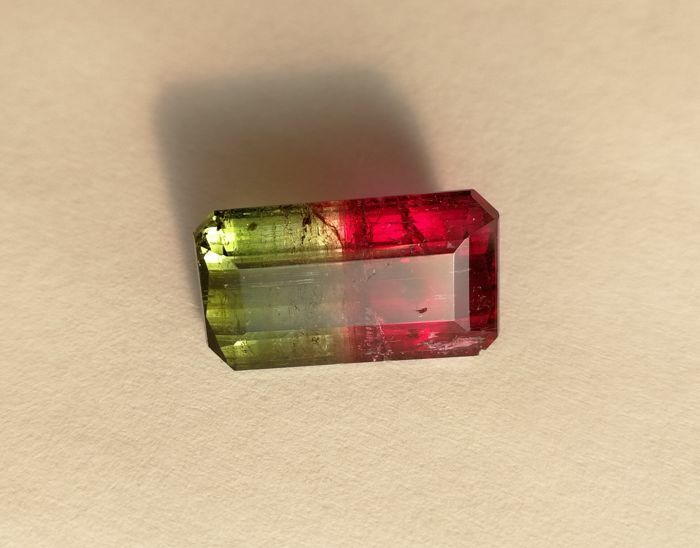 The seller is not responsible for payment of any importation taxes upon arrival in the country of the buyer. 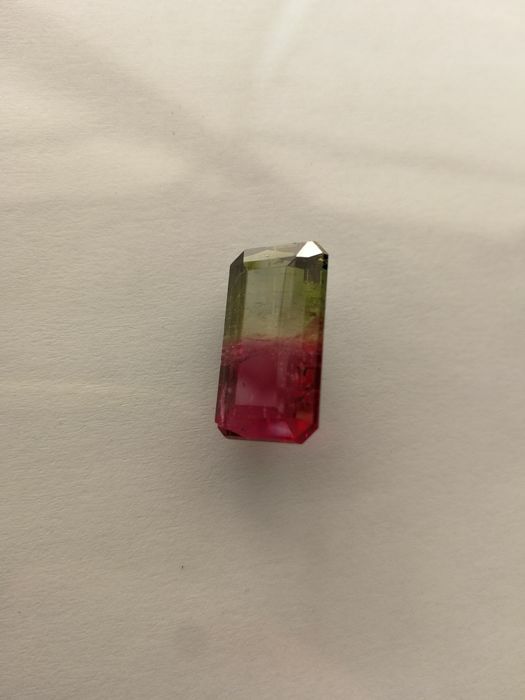 The stone is beautiful and it was delivered very fast!